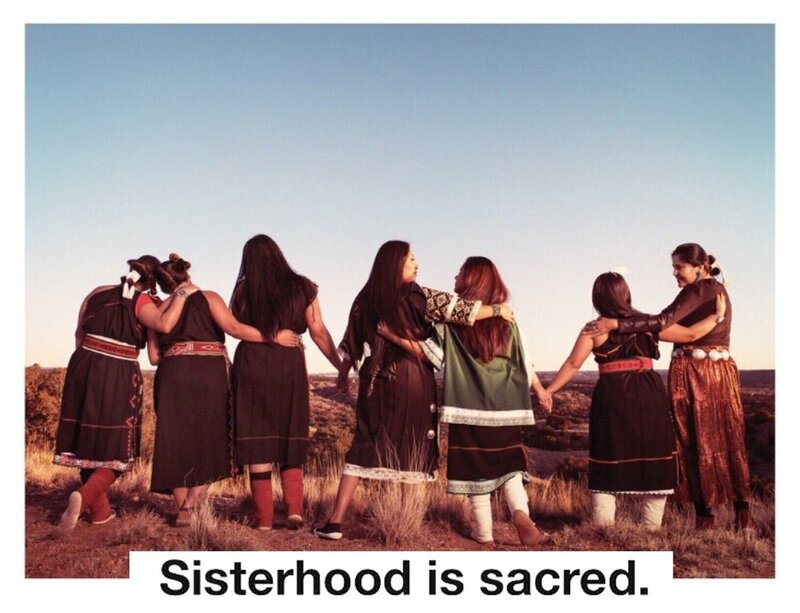 Ooljéé Bideezhíké is a sisterhood of bleeders who appreciate all sacred cycles our bodies experience. We explore the idea of sacred blood and what it means to reclaim our sacred self. As indigenous moonies we have always had knowledge for moontime. Our knowledge dates back to before the use of toxic mainstream so-called feminine hygiene products. Most of these products that are being sold to us are linked to reproductive cancers. There are so many toxic ingredients found in tampons and pads. These companies do not have to disclose any of this information because so-called feminine hygiene products are considered medical devices. We have the desire to bring light to ancestral knowledge. This knowledge includes plant medicines to help ease symptoms of bleeding. As well as how to practice self-care and self-love for our moon. Think of our moontime as a monthly check up. The goal is to honor our sacred cycles and to start loving our moontime. It can start with the healing of our wombs to bring healing of the land.